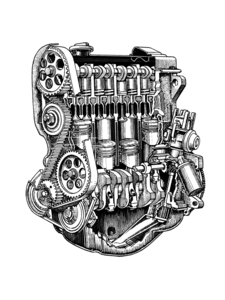 Over the years Volkswagen has made many different types of industrial engines. The most common Volkswagen industrial engine parts are found in fork trucks. Many models of piggybacks and Linde fork lifts use VW industrial engines. In addition, VW engines can be found in other commercial applications like combines, Melroe spra coupes, Zamboni's, industrial generators, small grain elevators, log splitters and more. While we are not fork truck experts, or combine experts, we are VW engine experts. We can help you get your operations back up and running in half the time and at a fraction of the cost. Don't see exactly what you need? Call us at 586.757.2300 and we can help you figure out what you need, and ship it out today.